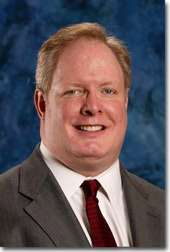 The Law Office of Gary Kollmeier provides comprehensive and experienced Family Law and Probate Law related services and also Dispute Resolution Services. Premarital Agreements allow each party to plan ahead for the eventual dissolution of marriage by death or divorce and will provides protection from the creation of community property and/or protection of separate property during marriage. A postmarital agreement is similar to a premarital agreement, other than it is executed after the marriage to effect a post marriage partition of property. The legal effect can be the same in any case and the rules of enforceability are also generally the same. A post marriage Partition Agreement can convert Community Property to Separate, or Separate to Community for estate planning purposes or preservation of assets in contemplation of divorce or protection from creditors. Family Law and Probate Disputes can resolved using the emerging field of Collaborative Law, which encourages cooperative and non-adversarial techniques to help parties to the dispute reach a settlement. Collaborative Law is a solution-oriented alternative to traditional divorce. Instead of focusing on getting the largest financial reward no matter the human or financial cost, the parties try to find "win-win" solutions that meet the needs of both sides. All participants agree to work together respectfully, honestly and in good faith. No one may go to court, or even threaten to do so, as long as they are in the Collaborative Process. In the unlikely event that a party feels that court is a better alternative, the Collaborative Law process terminates and both spouses must hire new lawyers to take their case to court. The Law Office of Gary Kollmeier provides family law mediation services and collaborative law services, including meeting facilities that promote a pleasant and comfortable dispute resolution experience. Convenient free parking, handicap accessible facilities, and easy access all promote the opportunity for relaxing the stress involved in resolving complex disputes. 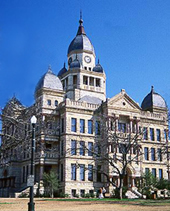 We can handle Texas divorce cases such as most complex cases involving large and diverse marital estates with significant characterization and valuation issues, retirement issues, spousal support, as well as provide cost effective simpler divorce services when the parties have reached agreements in advance. Understanding the uniqueness and importance of each situation in which children’s issues are involved, we can handle cases involving Custody, Support, Possession/Visitation, and enforcement of court orders for support or possession. Paternity establishment to defend and protect a father’s rights to his children. Adoption law can be complex and daunting area of family law litigation. We have handled numerous adoptions of children, including step-parent adoptions. Sometimes, to adopt a child, you need to terminate a natural parents’ rights, we have the experience in this area also. If you have ever been a "family unit" or "household" or in a “dating relationship”, and have suffered from family violence, a Protective order is available through the Courts and furnished to law enforcement officials. If parent fails to pay child support, fails to provide medical support or fails to allow possession of a child, enforcement of Court orders is available. There are occasions in which a well prepared estate plan will include a combination of a will and trust and other measures that be the best way to minimize estate taxes, avoid unnecessary probate, and bring about effective asset protection. Administration and probate, essentially, are what occurs after death. Probate is the process of submitting your will to the probate court, administering your estate, and distributing your property in accordance with your will. We can handle probate when there is a will or without a will. The durable power of attorney for health care grants the agent the power to make health care decisions for the principal if he or she is unable to make them. A power of attorney grants to another person the authority to manage your property, real estate, or finances if you become disabled, incapacitated, or for any other reason. Guardianship declarations allows adults to specify the person that would manage the day to day care of their person and or the management of their property if they ever became incompetent. Guardianship declarations for minors are typically done through a will, but can be done through a stand alone document as well.